Priority for this course will be given to applicants aged 23+ years. More info. Based on an exercise originally devised by FAMU (the Czech National Film School) this 3-week summer workshop explores the fundamentals of filmmaking from script to screen. Using an apparently straightforward event as its starting point – a girl drops a handkerchief and a boy picks it up – the workshop exposes, through a systematic and rigorous process of scrutiny, the complexities inherent in this, and indeed any scenario. It goes on to examine the variations and possibilities which must be considered before the event can be translated first into a script, and then - via all the stages of prep, shoot and post production - onto the screen. 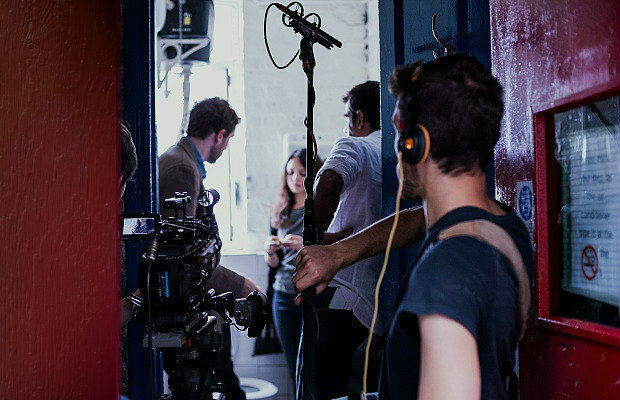 This is a highly practical programme aimed at anyone who is serious about a career in film; from those about to apply to a major film school, to anyone wishing to improve their understanding of the craft before embarking on their own short films. At the end of the course each participant will receive a certificate of attendance, plus a DVD of their scenes which may be used for showreel purposes or as part of an application portfolio. Please note: Those who complete and submit an application by the early-bird deadline, Sunday 10th March 2019, will receive priority for a place. We will continue to accept applications after the initial application deadline. Offers to subsequent candidates will be made subject to availability. Udayan Prasad has been directing documentaries, television drama and feature films since graduating from the National Film & Television School in Beaconsfield, UK. Among his numerous television credits are three single dramas written by Simon Gray for BBC Television - THEY NEVER SLEPT 1989, RUNNING LATE 1992 (Golden Gate Award for Best Television Feature1993), FEMME FATALE 1992. Two other single dramas, both written by Alan Bennett and also for BBC Television, were - 102 BOULEVARD HAUSSMANN 1991 (Golden Gate Award for Best Television Feature1991, BAFTA Nomination for Best Single Drama 1991), TALKING HEADS 2: PLAYING SANDWICHES 1998 (BAFTA Nomination for Best Single Drama 1998). More recently he directed two episodes of THE TUNNEL 2013 for Sky Atlantic and two episodes, including the finale, of THE MUSKETEERS 2016 for BBC TV. His first theatrical feature was BROTHERS IN TROUBLE, 1995 (Golden Alexander Award for Best First Feature at the Thessaloniki International Film Festival). This was followed by MY SON THE FANATIC, 1997 (Directors Fortnight Cannes Film Festival, Best Feature at the Potsdam Film Festival), GABRIEL & ME, 2000 (Edinburgh Film Festival) and OPA!, 2005 (Toronto International Film Festival). His latest feature THE YELLOW HANDKERCHIEF (Sundance Film Festival) was released in the United States in 2010. When not actively involved in a production, he is a frequent visiting lecturer on directing and screenwriting programmes at several film schools including The National Film & Television School in Beaconsfield, UK; London Film School; The Wajda School in Warsaw and the National Film, Television and Theatre School in Łódź́́, Poland. He is also an advisor and mentor on various international directing and screenwriting workshops.